Reinforced concrete is composed of two materials, concrete and reinforcement. The rein-forcement is usually made out of steel and rarely, at least for the time being, is made out of syn-thetic materials, the so-called composites. 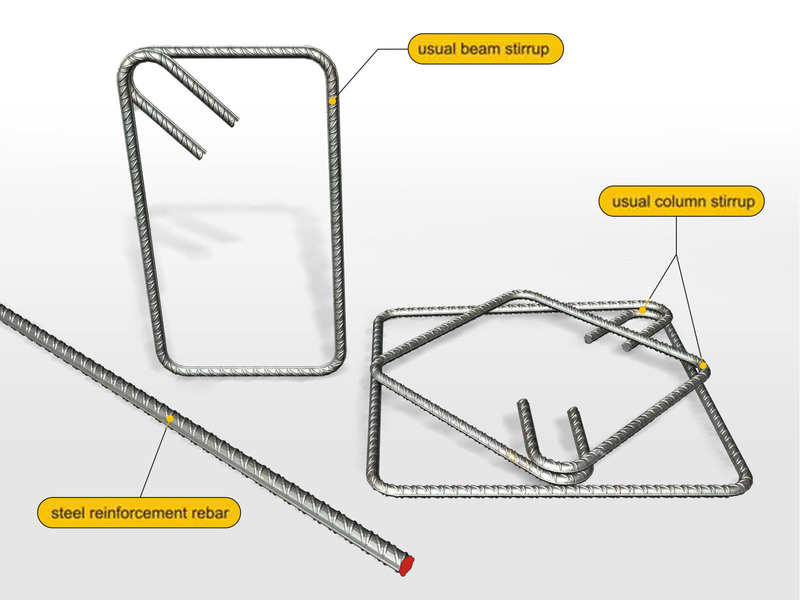 The reinforcement is divided in two basic categories: (a) the longitudinal reinforcement in the form of rebars and (b) the transverse reinforcement mainly in the form of stirrups. In order to understand the behavior of a reinforced concrete structural frame, we will assume two simple examples, a simply supported slab and a frame composed of two columns and a beam.